I like the desktop, it looks pretty good. I liked 9.04 a little better, but there’s nothing wrong with this one. I decided to go right into installation. Once again it was quick and easy with easy dialogs that made sense and with lots of information. 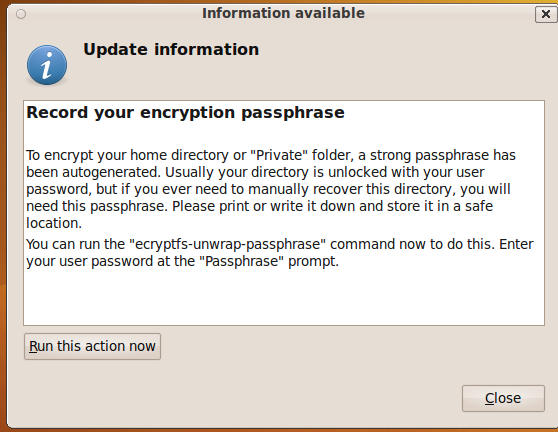 I like that it gives you the option to encrypt your home folder. I decided to take up its offer on that this time. 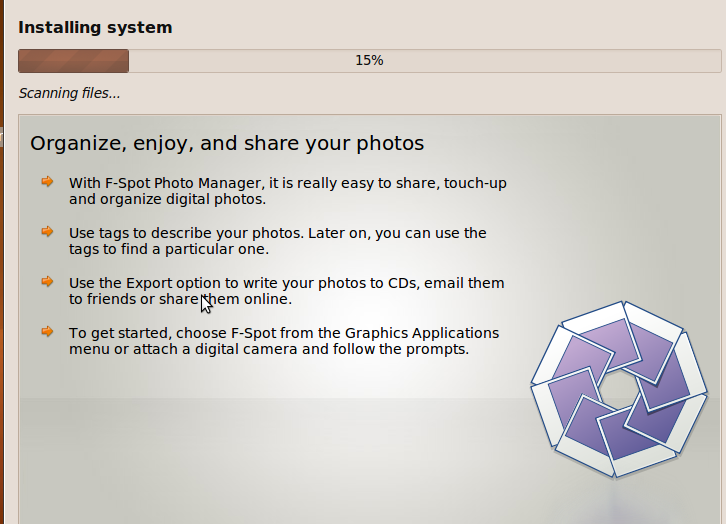 And it had a nice little presentation while it installed with some good info on programs available. And so, after a while I had my installation. The GDM screen goes really well with the loading screen (see above near the beginning of this review), but I preferred the look of 9.04. It asked me to setup my password for encrypting/decrypting my desktop (I would have preferred to have seen that integrated with Seahorse). And then I had some updates to run. 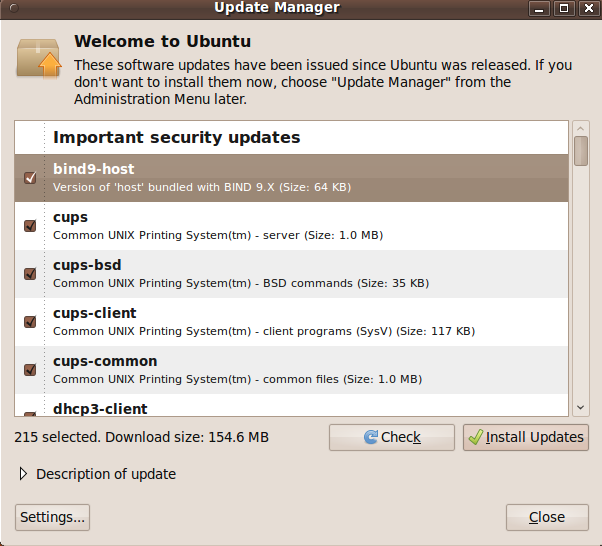 I decided to update instead of faulting Ubuntu for something that might not be its fault. 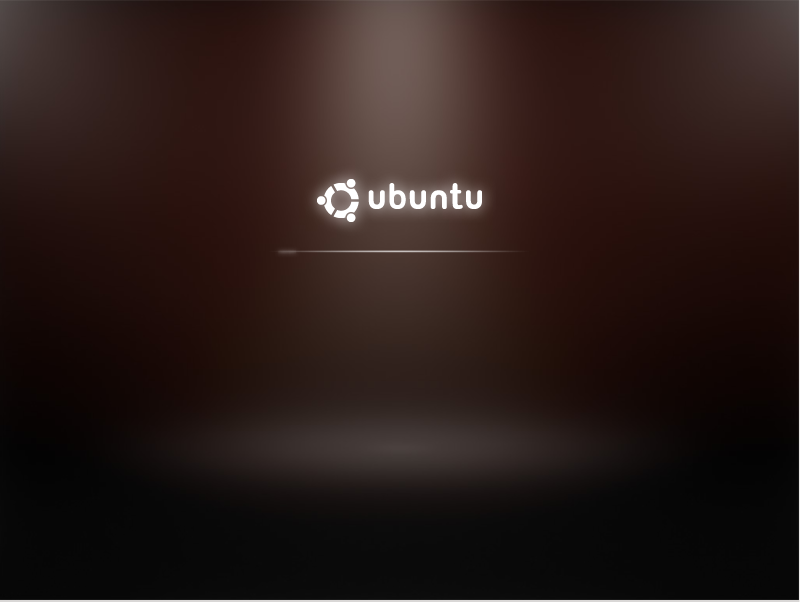 I think Mark Shuttleworth’s desire to make Ubuntu look slick is really, really paying off. Looking at my own Fedora desktop now and comparing it to this makes me think my desktop is ugly. Empathy is the replacement for Pidgin that most Linux distros are choosing now. 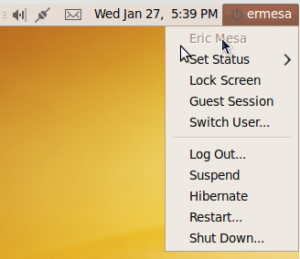 After all this time, Gnome has finally decided to have an IM client as part of their suite of everything and, for whatever reason, did not go with Pidgin. I discussed my feelings on Empathy a while ago. I decided to give it a shot and see what I was missing. I just IMed myself so that I wouldn’t have to bother anyone. It’s OK. Appears to have kept all the custom names I gave my contacts although not the groupings. I also like the status icons better in Pidgin, but I’m sure that’s something someone can create a custom icon set for. Ubuntu One is a neat little service where you can mark a folder on your computer to be synchronized to the net and have it also synchronize with other computers you own. 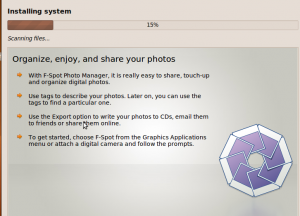 The team has big plans for this such as synchronizing desktop settings and Tomboy notes so that you can always have your settings no matter where you are as long as you login to Ubuntu One. I can see it being most useful for people with a desktop and a laptop. 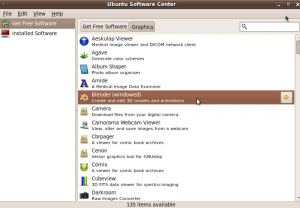 I keep hearing people complain that Ubuntu had gotten rid of GIMP on initial installation. I still see it here, so perhaps that’s for Ubuntu 10.4? I think that would be a horrible idea as GIMP is a great tool to show people what great FLOSS software we have and it would already be on the disc for people in countries where the bandwidth is so bad they order Ubuntu discs to be sent to them instead of downloading them. 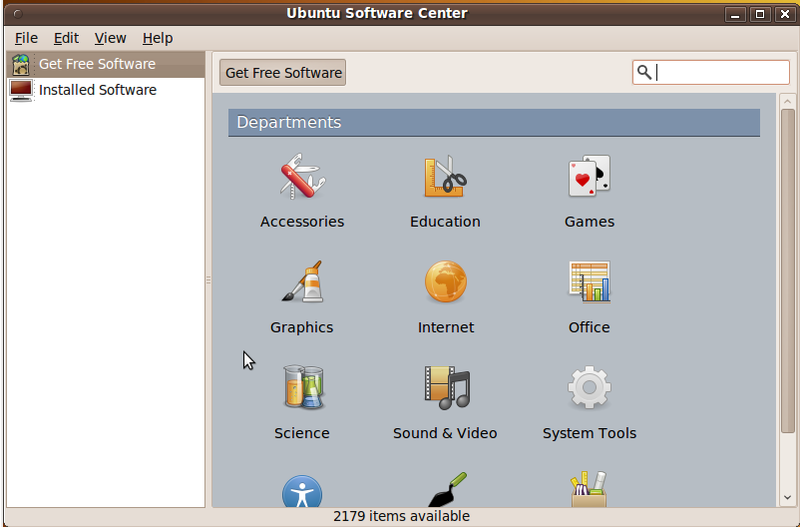 The big thing debuting in Ubuntu 9.10 was the software center so I definitely wanted to check that out. I think it looks very nice and has good categories with nice icons. The left leaves room in the future for non-free software like Adobe Reader. 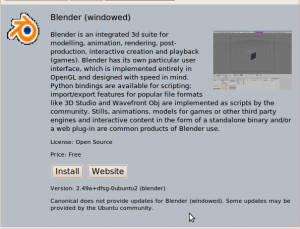 I clicked on the graphics category and found Blender. This is big. 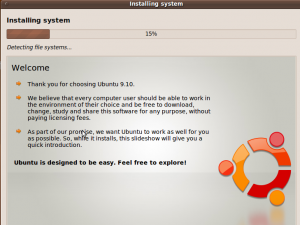 With software center, Ubuntu finally has an installation method that rivals that of Mint! I decided to see what would happen if I tried to play an MP3. I went to last.fm and downloaded one of the free MP3s they have on offer. Which I know from experience are the right packages to install. So I hit install and got this hilarious message. Well, whatever. Canonical is a company and they need to cover their butts. Afterwards the song played. Yay! One more thing to try. 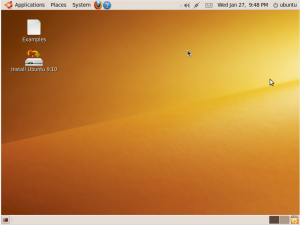 I heard that Gnome Shell (the interface for Gnome 3.0) could be tried out in Ubuntu. If it’s easy I’ll check it out. If it’s hard, no big loss it’ll probably be in 10.10. I install the gnome-shell package. Afterwards, naturally nothing had changed so I log out and log back in. Still nothing had changed, but before giving up I check google. 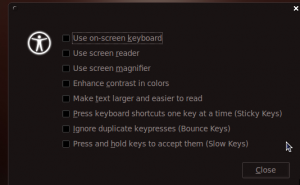 Typing gnome-shell –replace does the trick. It works, kinda. But that’s just my setup. It probably works a lot better installed on a machine rather than in a virtual machine. At least it was easy to check it out. I wonder how easy to get back to the original. OK! Conclusions time! 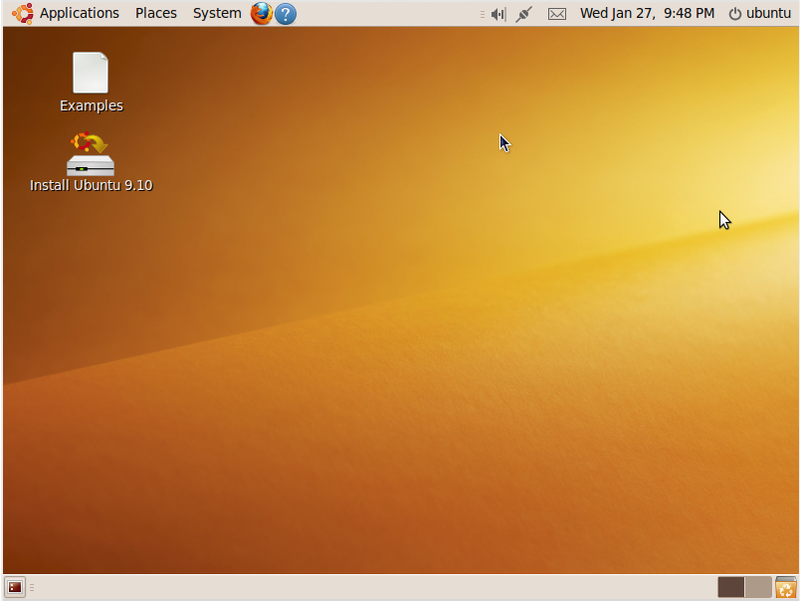 I think Ubuntu 9.10 is a top notch release! The desktop looks slick, the icons are nice, Empathy and Evolution are well integrated into the panel, and it is easy to install. 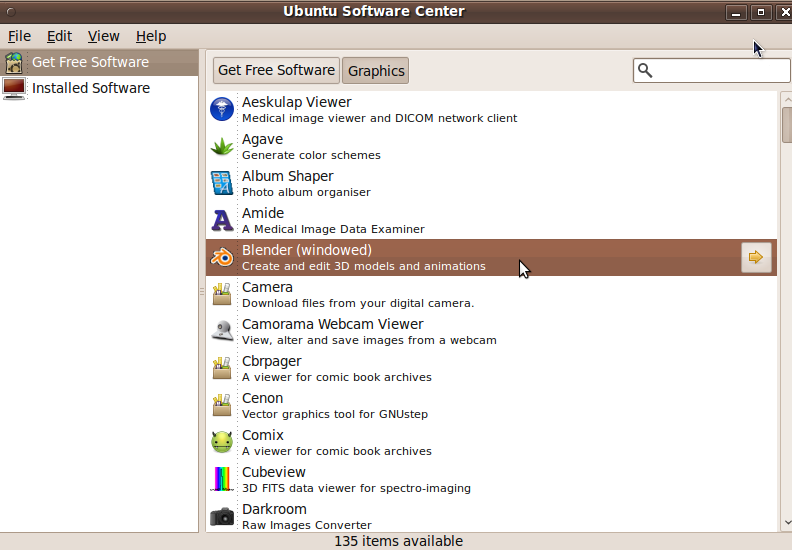 With the new Software Center, they are really starting to make them a very good contender against Linux Mint. So what’s keeping them from the top slot? Basically just one thing now – that Linux Mint comes with all the non-free software/codecs installed. I understand why Ubuntu can’t do it. Heck, Fedora doesn’t do it either. But try explaining this to a new Linux user. They want to be able to play their DVDs and MP3 content. So Linux Mint is still my top recommendation for a new user, but – MAN! 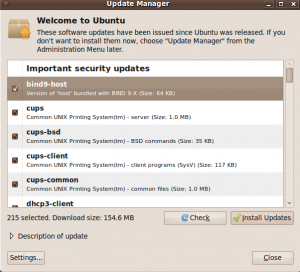 – is Ubuntu right behind. >>It asked me to setup my password for encrypting/decrypting my desktop (I would have preferred to have seen that integrated with Seahorse). This has nothing to do with Seahorse. 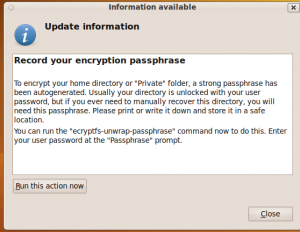 The passphrase that is set here is so you can access your home folder from a Live CD in the event that your installation becomes unusable, or so you can access the same home folder from another OS. Hi there. Does your computer ever go to sleep? I tried the 64-bit version on two different computers, and they’d never go to sleep (no problem with the 32-bit version). Thanks! Just a little comment: For those newbies who require all codecs, Skype, Adobe, etc. out of the box there is always Super OS. It solved my problem with sound on Skype. Thanks for review anyway. 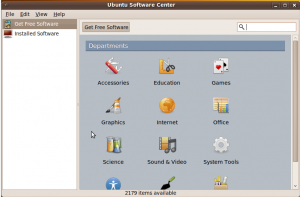 Ubuntu’s Software Center is good. Still not even 30% complete yet tho. 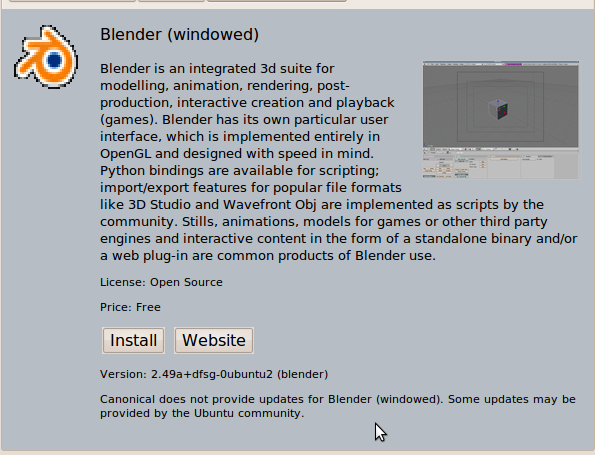 However, it isnt even remotely close to Mint 8’s Software Manager yet. 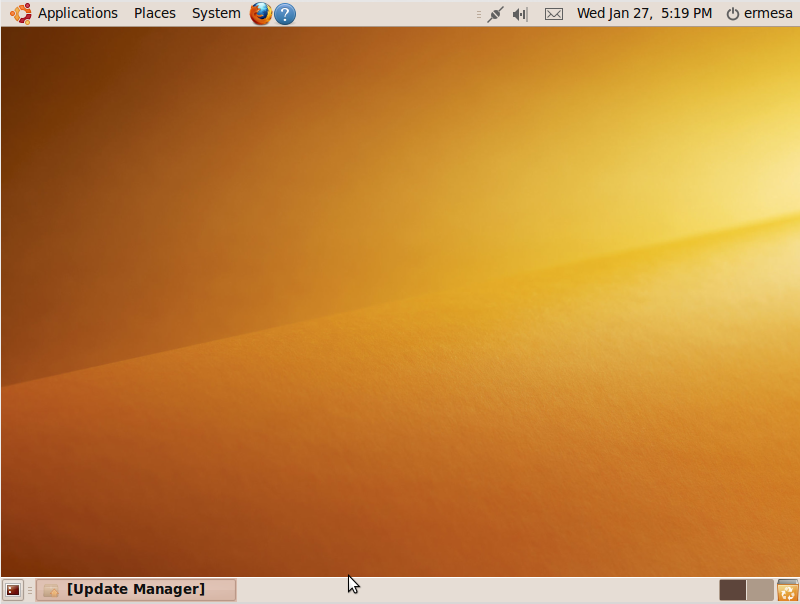 Aside from that, Ubuntu 9.10 is by far the 2nd Best GNU/Linux release of all time. Second only to its Little Brother Mint 8. Some people claim to have serious problems with 9.10, but from my experiences, I just dont think they know what they are doing. I’ve never had a single problem. Thanks for the interesting review. Your views are generally in line with my own. even to your preference for Mint. I have now tried many Linux distros and read many reviews but nobody ever seems to comment on the difficulties of cofiguring printers in Linux. I currently have three printers,Epson Stylus Photo R800,Epson Stylus Photo PX700W, and Canon Pixma MP540. All three printers work perfectly on Windows 7, but I cannot get any of them to work on Linux. Including both Mint and Ubuntu 9.10 64. I am sure that other Linux enthusiasts have similar problems. Nobody seems to raise the subject. Getting a printer to work is one of the fundamental requirements of any operating system. In my view, or am I missing something? long-time Linux users try to avoid some printer brands, like Epson. Canon also has bad Linux support. HP is mostly an excellent choice for linux, and Lexmark is also mostly ok (all their newer printers have Linux support). Another Great Review Eric! 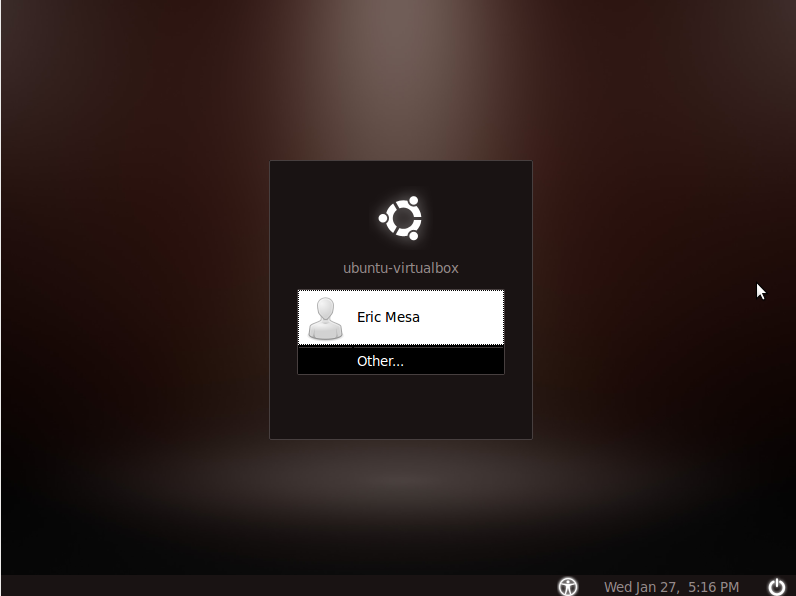 , I Agree Ubuntu is getting slick! 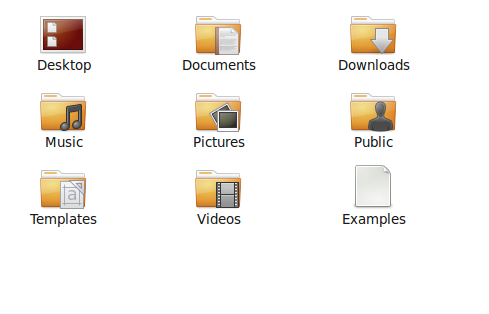 if only we could get mark shuttleworth to make it have prettier icons and not all this brown! i like brown but not on my desktop! am i right? Haha! Yeah, brown is a little tired, but it’s not too bad these days. I would like to have a theme with various colours – only brown makes it somewhat dull looking – but 9.10 have done some good shining job with brown. 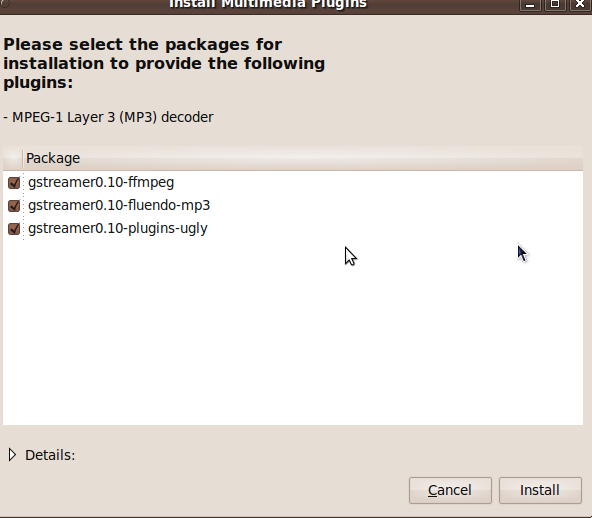 So why, exactly, would a new comer to Linux expect DVD playback and mp3 support out of the box? I don’t recall windouz xp having such features. I’m 99% sure that windows licenses MP3 support, hence the lawsuit a couple years ago for another of the MP3 patent holders that said MS wasn’t paying them. As far as DVD playback, most people buy computer with windows already on it and usually powerDVD or some such thing. So it would make sense for them to expect that. 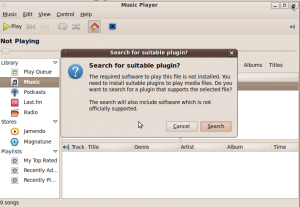 A fresh install of Windows 7 has support for MP3 and DVD. I’m not sure about Vista. Windows XP has no support for MP3 or DVD unless it’s preinstalled and the vendor installs support. Most computer users don’t do a fresh install of an operating system so they don’t really know what is supported on a fresh install. I don’t think windows any version can compete Ubuntu now, only Mandriva 2010 and openSuse 11.2 can do this job , but future will tell which one is better among these three. Ubuntu is quite simply the best OS out there right now. 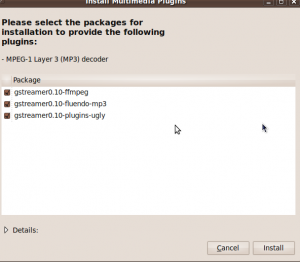 Yes, Mint is very good but, you can install the mutli-media extras on Ubuntu and Ubuntu has much better support overall. Ubuntu is the only OS I’ve used where MySQL just works. Other programs too like Glassfish and Tomcat. 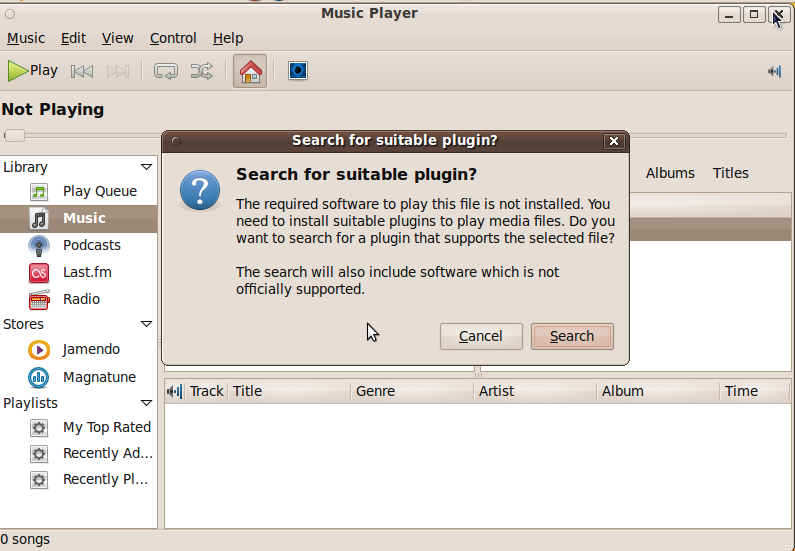 Fedora and OpenSUSE don’t do that yet and OpenSUSE won’t even play mp3 files (I can’t get the software to install). The other OS I like is PCLinuxOS, but it doesn’t have the support or documentation yet. I will never use Mac OS X or MS Windows 7. I just wish I could buy a new CPU for less with Ubuntu installed on it. Oh yes, for me Mint only barely beats Ubuntu. 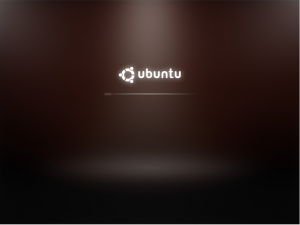 Afterall, you can get the codecs and restricted drivers with Ubuntu. But there’s a something to be said for it already being there. 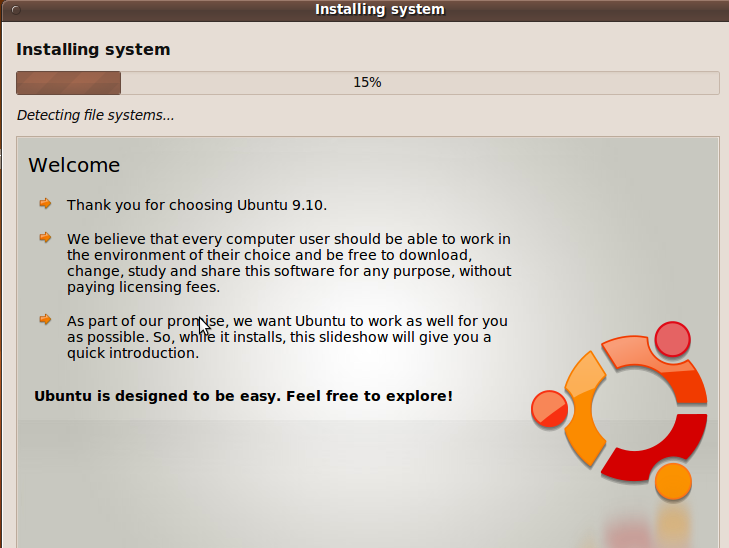 Yep, Ubuntu is coming along quite nicely. I hope they go all out with the Software Centre, this is the most important feature. Codecs is a problem. Maybe in the Software Centre they can have all codecs available for purchase if people require them, nice, easy, simple and trouble free install. I don’t mind GIMP being left out solely because of the limited space on the CD. There are more important utilities and features that need to be on the CD first. If they move from a default CD to a USB default image then they can have more room to play with. At the moment people like the CD size install they need to know there are trade offs. I am currently running 9.04 on my Dell Ubuntu netbook, so looking forward to install 10.04. I am on 9.04 now , but will move up to 9.10 soon. I got a book “Ubuntu Unleashed 2010 edition’.It is about 9.10 and 10.04, so I am getting readly. Mine will be a clean install after formatting the disk, as it has got a bit messed and does not do things at boot up that it should. Can’t find my disk with Windows XP , and I have not used it for a couple of years so it looks like I will not ever be using MSOS again. Before I go , must say the article has inspired me to get going on the way to 9.10.